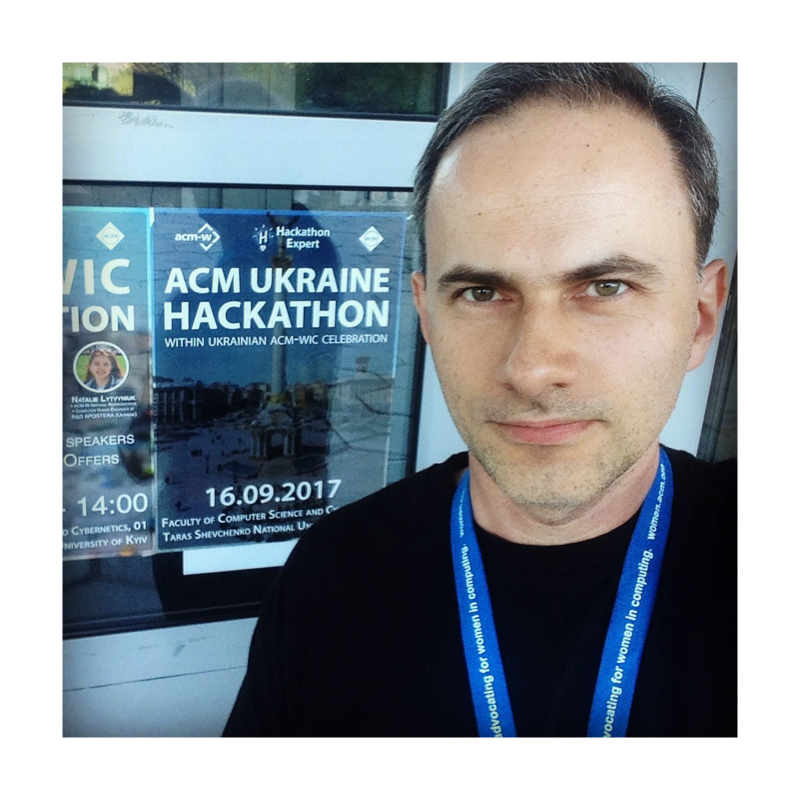 Taras Panchenko is the chair of the Ukrainian ACM chapter, President of the Hackathon Expert Group and member of the CECL subcommittee of the ACM Europe Council. He says he is a life lover, a world changer, and breakthrough inspirer. Gerhard Schimpf (GS): Taras, I appreciate that you volunteered for this interview about the Symposium Being Human with Algorithms. My introduction is probably not comprehensive. Would you like to introduce yourself and describe the work you do? Taras Panchenko (TS): First, I would like to thank you, Gerhard, for your tremendous efforts in developing the ACM Europe and the computing community at whole, while You were the chair of CECL, but not limited to. 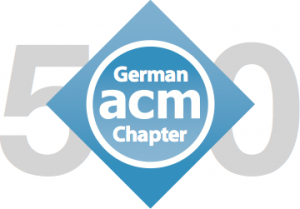 I broadly appreciate your passion about ACM and the high commitment to ACM Europe and, especially, to German Chapter, which will celebrate its 50th anniversary this year. Speaking about me, I am an Associate Professor at Taras Shevchenko National University of Kyiv (Faculty of Computer Science and Cybernetics) and the co-owner of IT-company Infosoft Global. I think this is in important conjunction for the lecturers – to be involved in real R&D processes by combining the research and the implementation of your ideas to apply the innovations to real life problems. Also, I am sure that good specialists should share their experience (and they honestly would like to). So, I organize meetings with IT-professionals and hold other events like hackathons on a regular basis. My excellent students always help me to do it in the best way because they appreciate these original formats of learning, the new ways to get the top-notch knowledge from experienced scientists and practitioners. GS: Thank you for the compliments. Now let me ask you which steps brought you into computer science and what are the technological and ethical questions related to the ongoing digital transformation that are most prominent for you today? TP: To be honest, my journey toward computer science started at school. When I wrote my first program, I clearly understood that it was once and forever (love at first sight). Olympiads, University degrees, Ph.D. in Computer Science were the predictable steps on the way to my dream and my passion. I am sure that the question of the quality and the correctness of the technologies we are producing is the clue for the ongoing digital transformation to succeed. All technology users should be assured that it can be used safely in the proper way. Moreover, if something goes wrong, the deviations and adverse outcomes of potential issues should be predictively minimized. In the same way, the question of responsibility for the progress and the results is the most prominent ethical question for me, yet – without an obvious answer. In which measure are we responsible (and can be responsible at all) for the world full of technologies we created? The same example of autonomous vehicles and self-driving cars clearly shows us that there is no absolute answer… for now. In this aspect I really appreciate the ACM’s Statements on Algorithmic Transparency and Accountability and on the Internet of Things Privacy and Security, and also other initiatives to provide policies and the code of conduct in such important and sensible questions. And of course, events like Being Human with Algorithms are very much crucial in this way, to raise the questions and try to analyze the situation from different points of view. GS: How does this affect your work and how do you personally take part in and shape the digital transformation? TP: As I mentioned, technological changes have the influence on various aspects of our lives. Concerning this, some jobs will become unnecessary in the nearest future (we already have this tendency nowadays), some entirely new jobs will appear – and we all need to be ready to transform ourselves to adopt these non-trivial changes. No-one could shape the transformation alone, but together we can do the decent work as a community. One of my scientific interest is the software correctness. Nowadays we have very complicated software complexes, and the question is how we can assure the expected behavior of the program? And, can we trust the software we are developing? This situation is not new, C.A.R. Hoare, E. Dijkstra and many other famous scientists have raised this question many times before, but still, we don’t have a good idea on how to cope with this complexity. More of that and again, these questions become much sharper when we are talking about self-driving cars, autonomous drones, etc. GS: What are the positive chances you do associate with the ongoing digital transformation? TP: The most positive outcome is that we cannot stop this transformation. No one person can shape or head the digital transformation. Anyone interested in the process can try to influence it partially, to implement it in some new area, to broaden the limits. As far we reach with these changes, as more convenient and much well life will become. Now we can’t even imagine how could someone organize his/her life without the Internet and the mobile phone. The general technological progress gives us certain advantages, which we are trying to use to simplify our life, to make us more productive, and to have more joy of it. GS: On the disruptive and dark side in the context of Being Human with Algorithms, what are the risks which you see? TP: The most potentially disruptive side is that we cannot stop this transformation (nor we can control it entirely) and no one distinguished person can shape or head this digitalization. I can draw an analogy to the nuclear energy, which can be the most efficient source for producing the electricity, and, on the other hand, the core for the atomic bomb. Humans can use this power on both sides, and there is always the balance of trade-offs, common sense and self-controlling responsibility to not fall into the darkest side of human beings and to destroy our world. GS: In your opinion, who should be responsible to contain these risks? TP: There is obviously not one dedicated person nor the selected community to contain all these risks, because they are distributed between all participants of digitalization, in other words – all of us. In this way, recognized professionals can try to shape the process and set the rules, but it is also vital for all the participants to follow these rules. I mean the regulations concerning security, safety, privacy, transparency and accountability, and other principal aspects. GS: Taras, thank you very much for sharing your thoughts with us. TP: Thank You, Gerhard! It is crucial that you have raised this vital topic to discuss, and also have organized such an actual symposium. Happy 50th Anniversary to the first ACM Chapter in Europe! I would like to wish all members of German ACM Chapter even more prosperity, success and inspiration in their affairs.